Jay Shetty makes Wisdom go Viral. With more than 4.8M fans on Facebook alone, He is an award winning host, storyteller and viral content creator. Since launching his video channel in 2016, Jay’s content has garnered well over 1 billion views and gained over 5 million followers globally. This makes him one of the most viewed people on the internet. Jay was named a Forbes 30 Under 30 for being a game-changer and influencer in the world of Media. His first daily show for HuffPost Live #FollowTheReader, allowed him to interview the likes of Russell Brand, Tim Ferriss and Deepak Chopra reaching 1 million people daily. Jay aims to share knowledge at the pace we want entertainment and has created content for and partnered with Snapchat, Facebook, National Geographic, Nasdaq and HuffPost and many more. 1. What is the purpose of education? The purpose of education is to unravel, discover, and extrapolate, the potential that sits within an individual. The purpose of education is to not put things in but to bring things out that already exist within the psychology, physiology, and emotional capacity or spiritual capacity of any given person. The purpose of the education is to help someone get as close to their truest identity as possible. Beyond physical, mental and emotional understanding of the self. That’s what education is but it doesn’t do this. Education is burying our true identity under layers of stuff that you think you need to know. Education should be entertaining and empowering but also excavating. It should be excavating that which is inside like an archeologist and trying to actively bring that out. This is the 1960’s, right? 1960’s, 1970’s. He’d say, “Where’s the Department for the Soul and Consciousness?” And, they’d be, “There isn’t one. There’s Math, there’s Engineering, there’s Art, there’s English.” And then he’d say, “Well, what’s the point of your university? Because, the greatest understanding is of the soul and consciousness.” That’s what education is for. 2. What core principles or ideas should everyone learn? What core principles do you hold true? I think the first core principle comes from understanding that you are not this body. If you understand that, at least on a theoretical level to begin with, that you are more than this body, you can then start the conversation of real happiness, real success, real fulfillment, real satisfaction. If you think you’re the body, what that means is you think what the body needs will make you happy. So you place your happiness in food, money, cars, things, stuff, and you end up getting, what I like to call, stuffocated. The first lesson is to really understand that we are consciousness and we are the soul, which we can’t understand, because not many people teach it today. But, at least at a basic level, know that you can’t be this body because the body is always changing but you’re perceiving through the body. 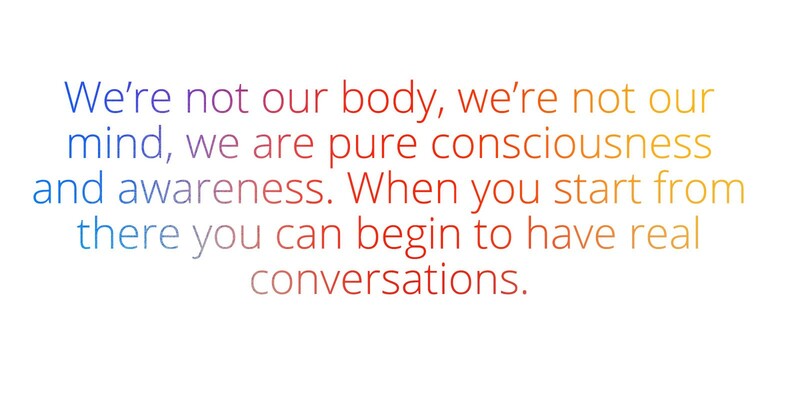 So, we’re not our body, we’re not our mind, we are pure consciousness and awareness. And, when you start from there you can begin to have real conversations. 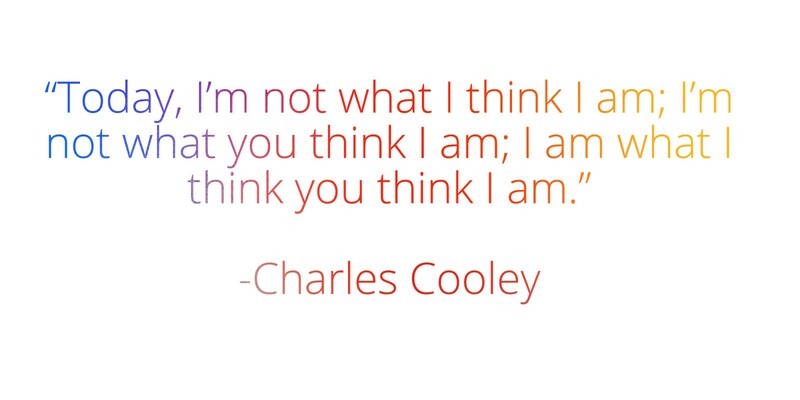 So I’m not what I think I am; I’m not what you think I am; I am what I think you think I am. So I live, we live, in a perception of a perception of ourselves. Because, if I think, that Colin thinks, that I’m successful, then I feel successful. And, the truth is, what I think may not even be what you think. We’re basing it on complete subjective assumptions and misconceptions. The reason I’m saying that is that that too many people today are not living their nature or what would be called in Sanskrit, their Dharma which is their purpose or passion or their reason for being. We all have a genius inside of us, yet we are trying to be geniuses in fields that we are not a genius. GaryVee calls this self awareness. In spiritual teaching it’s called self-actualization. The point being, that we are so far away from our self-awareness. And, the third thing everyone needs to know is that service is where happiness starts. Service is where happiness really begins. When you make a difference in the life of other people, that’s where your road and journey to being happy begins because you’re wired for generosity. You’re wired for service. That’s consciousness. Just like water is wet. The sun gives light and heat. Consciousness is service. Consciousness is helping. So, those are the three things. Know that you are not the body. C.S. Lewis said it best, when he said, “You don’t have a soul. You are the soul and you have a body.” That’s number one. Number two is, I’m not what I think I am; I’m not what you think I am; I am what I think you think I am. Self awareness, self actualization and realizing that you have your own genius. And, the third one is service. Those are my three big principles. And, we can talk about those forever. 4. What problem in education do you most hope to see solved? The idea that there is a one-size-fits-all model. I don’t agree with it at all. I think that makes education very difficult. In Vedic times, what would happen is that the guru or the teacher would observe 10–12 students and their strengths, and their tendencies, and their inclination and then encourage those in them. The teacher’s job was not just to teach a curriculum but to observe and focus in on a child’s talents. What they enjoyed, and what they excelled at and what they didn’t. And so, who’s won? Who’s lost? I think a one-size-fits-all model needs to go. And, telling people they need to have done something by a certain age needs to go because that puts pressure on people for no reason. 5. What about education works well and should continue? I think what education can do is that it can very quickly expose you to a lot of different ideas, thoughts, subjects, and people. In a way that you can’t do on your own as quickly. So, when I was at business school I studied everything from arts and antiques markets as an elective. All the way through to behavioral science, which is my main thing, all the way to quantitative analysis. So it was very easy, to recognize do I enjoy this or do I enjoy that? The point is I was never asked that question. I was told that I had to be good at everything and that was the challenge with education. But, the good thing is you do get exposed to everything and if you’re a smart, switched on person, you’ll go this is what I’m passionate about. This is what I’m going to focus on. As a kid, you can’t walk into a coffee shop and start a conversation with a stranger. In school you can, if you use it wisely, it will allow you to do that. 6. Where do you think your content belongs in the current education system? Do you think it could be viewed as a supplement, alternative, or even a potential replacement? I know a lot of teachers that use my videos in their classes, which is quite fun. I get emails all the time from teachers, professors, universities, and everywhere. From Stanford and Harvard to a local college in New York to everywhere across the world. India. Australia, etc. It’s beautiful and people are already using it. I see the current content I’ve created as a supplement. And, as more of inspiration, motivation, and ideation to start and spark conversations. And, also, an instruction on how to make deep subjects entertaining. I see it as more of a manual as well. The content itself is a manual of how to create engaging conversations. I see myself going to the root of education. When I’m talking about the soul, consciousness. When I’m talking about personality, our reason for being, meaning, purpose, I’m talking about what education should start with. I’m not trying to replace education. I’m actually giving education its root. I think that the trunk and the flowers, and the leaves and the fruits are great. I’m not teaching people Math, English, Science, Engineering and all that stuff and how to make money but I am teaching them about themselves. When have you ever been to a class that was about understanding yourself? I’m not trying to replace education. I’m not trying to make it irrelevant. I’m giving it its root and I’m helping give people the opportunity to engage and start powerful conversations. 7. Why do you think it’s so difficult to change education? I don’t think it’s just education. Institutions are just hard to change. Whatever institute. Whether it’s healthcare., whether it’s politics. It’s just as soon as something becomes institutionalized, which is a necessary evil, it’s like that. It’s a necessary evil. You need an institution because ultimately things have to get organized and systematized but, the problem is that they ruin a lot of stuff when they become that way. We see that with startups. They start really cool and funky and trending stuff and all of a sudden they’re this big corporate that is like every other corporate that they despised when they stared. You’ve got the internet for that. You’ve got social media. You’ve got video. 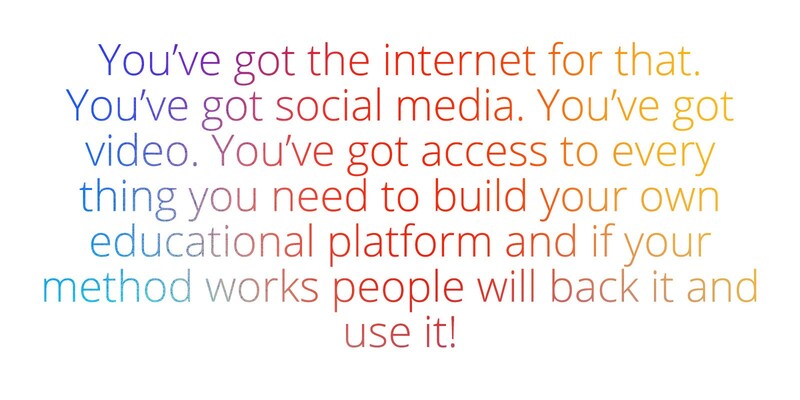 You’ve got access to every thing you need to build your own educational platform and if your method works people will back it and it will work! We don’t need to be worried as change makers, we need to focus on creating the new, rather than trying to change the old. Changing the old will always drain energy but we should learn from the mistakes of the old. We should learn from the mistakes of the old because otherwise we will create the new, which is exactly the same as the old! The big thing I talk about here, is I talk about muddy water and I’ll explain why because I spent years working on projects that purify water in India and Africa so that analogy really rings true for me. If you have muddy water, you can try to distribute it to the whole world but all you are distributing is muddy water. 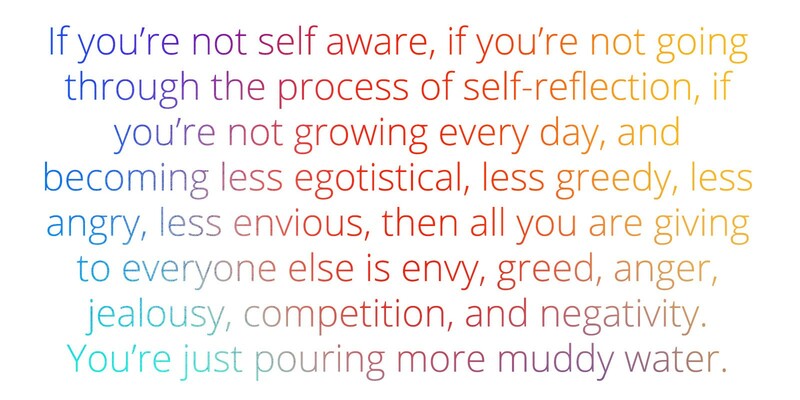 If you’re not self aware, if you’re not going through the process of self-reflection, if you’re not growing every day, and becoming less egotistical, less greedy, less angry, less envious, then all you are giving to everyone else is envy, greed, anger, jealousy, competition, and negativity. You’re just pouring more muddy water. It’s easier to make a powerful video that will change the world than to change yourself. 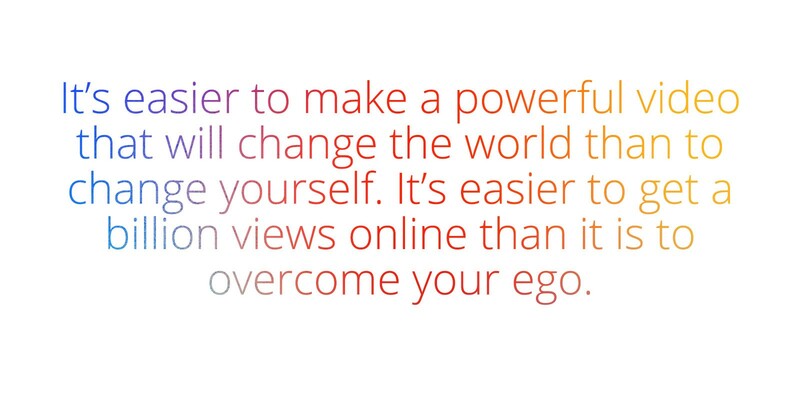 It’s easier to get a billion views online than it is to overcome your ego. It’s easier to become famous, a billionaire and everything in the world than it is to overcome your ego and I don’t think people get that. 7. Who is one historical or public figure, alive or dead that you admire and why? My answer is one that maybe many have said but one I’ve deeply studied and I think that’s what is different about my addiction to this person. I would say Steve Jobs. It’s not because of inventing Apple. It’s not because of innovation. It’s not because of branding and marketing. It’s not because of whatever. It’s because he was deeply spiritual. A lot of people don’t know that about him but if you read Walter Isaacson’s biography of him and you spend time with people who spent time with him in his crazy times. His self actualization, self awareness, and ability to work in that and his desire for seeking the truth and meaning fueled who he was. It sends chills when I say it because that’s the deepest understanding of that second point that I said of education, of self awareness, of not being lost in a perception of a perception. 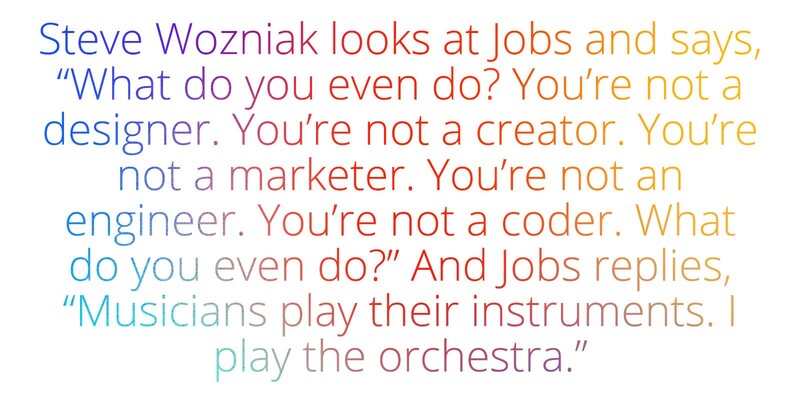 He completely understood that his role was not to be a coder or a manufacturer or a tech giant. His role was to bring it all together. 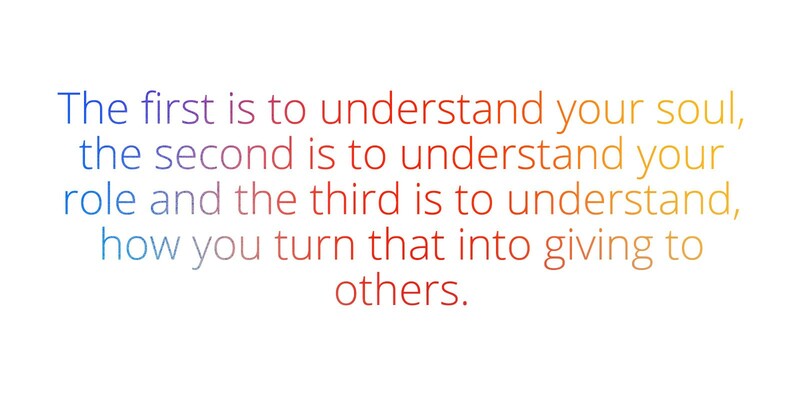 The first is to understand your soul, second is to understand your role and the third is to understand, how you turn that into giving to others. Which is those three items, soul, role and service. And that’s the key. So, Steve Jobs, was a prime example of all three. 8. What would an ideal education look like to you? I genuinely think ideal education would be if teachers or coaches or whatever were trained to learn how to observe greatness, like to observe genius in people. I don’t care what grade you got. I don’t care what university you went to. I don’t care who you know. All I care about is what are you passionate about? Are you good at it? And, do you know your genius or do I know your genius? That’s all I care about. Because, if everyone thought like that when they met people, then we would be able to engage people and make them happier and be happier ourselves. So, I’m always sad when I see someone not living up to their potential. That hurts me the most. If everyone you ever met in the world only wanted your best interests and could see the best in you and know how to bring it out. If everyone in the world was trained to do that, you would now have 7.9 billion teachers. So, for me, it’s training everyone to become experts in observation of genius. If everyone becomes an expert in the observation of genius that’s the ideal education. I think it will happen online. I think it will happen to travel. The real thing is being observed when you are young. When you have a teacher that just watches you, observes you, a parent, or a mentor, that’s what we need to help us identify, guide us and make us strong. Join Jay on his quest to make Wisdom go Viral!